Stocks finished Wednesday lower after minutes from the latest Federal Reserve meeting showed the central bank could cut back on its bond-buying program even if the job market doesn't improve dramatically. The Dow, S&P 500 and the Nasdaq all went from being up slightly to down modestly after the Fed minutes were released. The Fed has long maintained that it wants to see a healthier labor market before it would pull back, or taper, its stimulus programs. But according to the minutes, the Fed suggested it could taper for reasons other than substantial improvement in the job market. Investors have been hoping that the central bank will continue its stimulus program into 2014, extending the $85 billion a month bond-buying spree that has supported the U.S. economic recovery and helped boost stock markets to record levels. Kate Warne, investment strategist with Edward Jones, said before the minutes were released that she does not expect the Fed to make any significant changes to policy until the job market improves. That said, she believes there will be market volatility between now and the end of the year and throughout the early part of 2014 as investors speculate about the timing of the Fed's next move. Warne even suggested that a full-blown correction, or 10% pullback from recent peaks, is possible given how high stocks have soared this year. On Tuesday evening, chairman Ben Bernanke made a speech that indicated Fed support was likely to continue into 2014. Although that decision won't be Bernanke's to make. His terms end early next year. President Obama has nominated Fed vice chair Janet Yellen to replace Bernanke. She just needs to be confirmed by the Senate, which seems almost certain. Related: Bernanke says the recent jobs reports were "disappointing"
On the economic front, retail sales for the month of October rose more than expected. Consumer prices were relatively flat for the month, a sign that inflation remains tame. With inflation currently not a threat, Jim Baird of Plante Moran Financial Advisors said "the Fed isn't likely to feel any urgency to pull in the reins on policy." There was some not so encouraging news about housing though. The National Association of Realtors reported that existing home sales in October fell more than economists were expecting. What's moving: Struggling retailer J.C. Penney (JCP) reported a decline in quarterly revenue and same-store sales and a steepening loss compared to the year-ago quarter. But shares surged more than 8% due to brightening hope for the retailer, which said that same-store sales pulled out of the gutter in October. Still, some StockTwits users are expressing concerns about the upcoming holiday season. "$JCP, ladies and gentlemen, what goes up must come down," solrazer wrote. Another trader suggested that now may be the time to bet against the stock. "$JCP Thanksgiving is in 8 days. How much money can you earn from shorting it??" asked smellyegg. 3-D printing stocks tumbled for a second straight day. The sector has been one of the hottest performers in the market this year. But there are concerns that 3D Systems (DDD), voxeljet (VJET), Stratasys (SSYS) and Exone (XONE) may have run up too far too fast. Voxeljet suffered the biggest loss, plunging more than 30%. "Why people mess around with buying 3D's right now is beyond me," said StockTwits user BucksNBills. "Give it some time and buy on strength." Viral chimed in that "$DDD along with most other 3D stocks seems to be pulling back" and suggested that investors wait for a better time to buy since there is still a "long term bullish" outlook on the group. 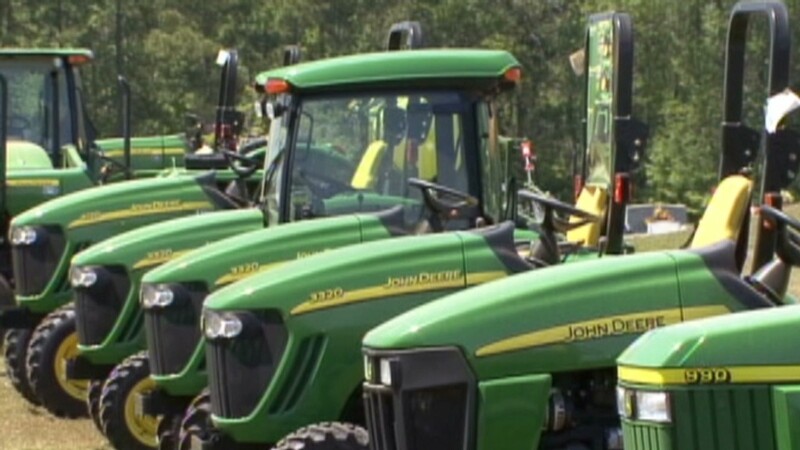 Deere & Co. (DE) reported that quarterly net income easily topped forecasts, but worldwide sales in heavy equipment took a dive during the period. 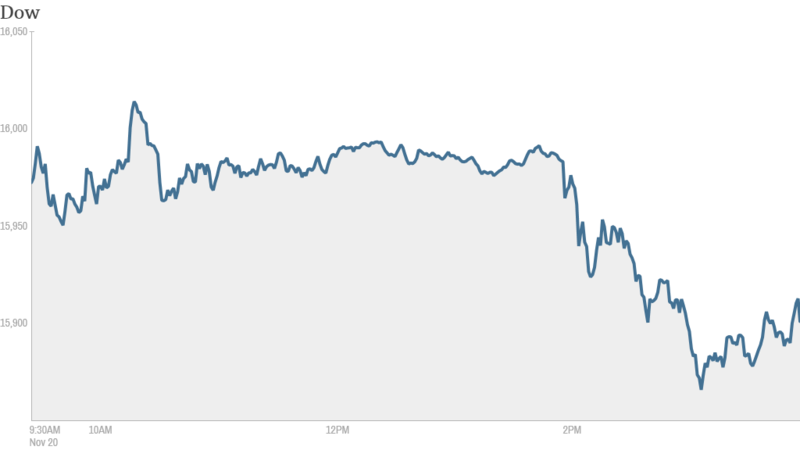 Shares rose thanks to better-than-expected guidance for 2014. Lowe's (LOW) reported a double-digit gain in quarterly profit, which CEO Robert Niblock attributed to the strengthening market for home improvement. But shares dipped 6% as results missed forecasts. Rival Home Depot (HD) reported stronger results and guidance on Tuesday. Yahoo (YHOO) shares continued to rise following the news on Tuesday that the company is boosting its stock buyback by another $5 billion. Traders were pleased. "$YHOO What I particularly like about this buyback announcement is its size and its funding," StockTwits user patrick_walther said. "Expresses mgmt's confidence. Huge." Green Mountain Coffee Roasters (GMCR) reported revenue and earnings after the closing bell that topped estimates. The K-Cup maker also announced a new stock buyback and said it would start to pay a dividend. But shares fell after hours as guidance for the next quarter was a bit disappointing.